Recent postings on Facebook from a naturalist who decided to acquire personal experience of the effects of giant hogweed on her arm reminded me of someone I knew in the New Forest who wanted to find out about the effects of the bite of the large tabanid fly Tabanus sudeticus. 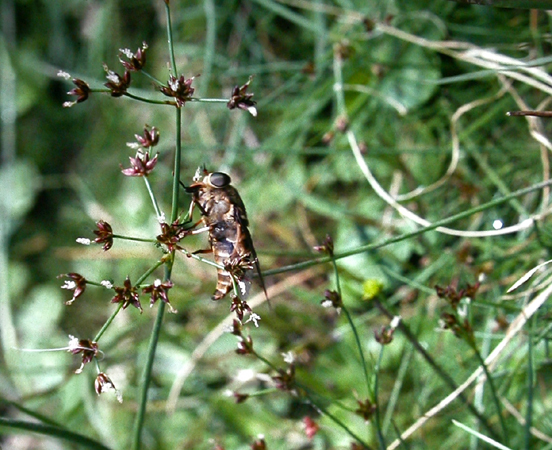 There cannot be many who have not been plagued by that silent but deadly pest, the horse-fly but how many have actually been bitten by other tabanid flies in Britain. Of course in Africa, it is a tabanid fly, the tsetse fly that carries the deadly sleeping sickness. The Giant Horsefly Tabanus sudeticus is comparatively common in the New Forest where it preys on horses. New Forest ponies can often be seen rushing around to avoid being bitten by the noisy Tabanus sudeticus which is certainly not as insidious and silent as the horse-fly we all know and hate. However once on a horse’s back, and in a part of its anatomy where the tail cannot brush, Tabanus sudeticus can cling on and will not be disturbed as it feeds. The chances of any human being bitten by Tabanus sudeticus, as it is such a clumsy, noisy beast are remote. A naturalist friend of mine decided he wanted to experience personally the effects of this fly. He caught one in a jam jar, and then applied it to his hand. The fly took some time to take the hint, but eventually began by scything with its mouth parts to make a wound. Blood began to escape from the wound, and the fly enjoyed its meal. My friend’s first reaction was “Well that’s pretty innocuous.” However, a few hours later his hand swelled up like a balloon, and he became really very ill. 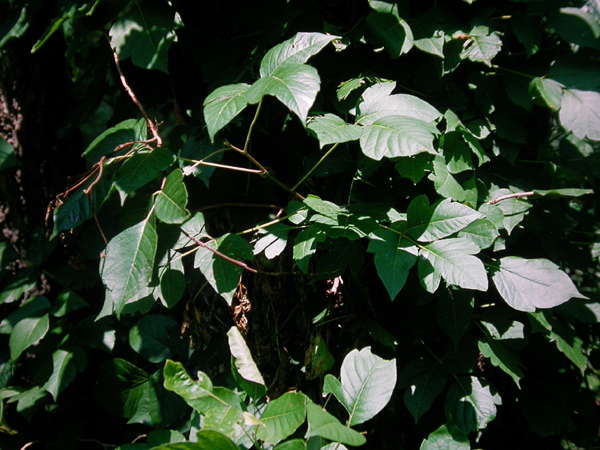 I remember the first time I visited Texas being tempted to see if I were effected by poison ivy. In retrospect, I think to have conducted an experiment on myself would have been both foolish and unpleasant. I remember my wife telling me about an Indian colleague of hers at work who complained that in Britain, brushing against vegetation was strangely unpleasant and hurtful. The fact was she had never experienced stinging nettles before. A few years ago, I was undertaking an ecological survey in East Sussex when I found a nettle with narrow leaves. I had recently heard about the Fen Stinging Nettle Urtica galeopsifolia that has narrow leaves, and is supposed not to sting. Having looked at the leaves carefully and being fairly reassured that there were few, if any stinging hairs, I touched it gingerly. I was not stung. Was this a good enough indication that I had found the species? In fact, I still believe that the actual status of Urtica galeopsifolia is in doubt, and that it may simply be a form of the normal, unpleasantly painful stinging nettle we all know and avoid. For the next stage of the visit, we were ushered into laboratory where a taciturn scientist was handling a Soviet species of pit viper. The most poisonous snake in the Soviet Union, he told us. He held it behind its head, and pushed its fangs into a beaker. Two jets of a colourless liquid squirted into the beaker, and these would be used to produce anti venom. “Do you ever make any mistakes?” a member of the party asked. For answer, the scientist held up his hand. One of his fingers was missing, and he explained that he had to decide whether to use an axe lying close to him, or die. I am lucky in that I am not affected by the hairs on the tails of brown-tail moths. I have never actually done an experiment to prove this, but have come into contact with sufficient of them, and of other British caterpillars to know that I am probably immune. 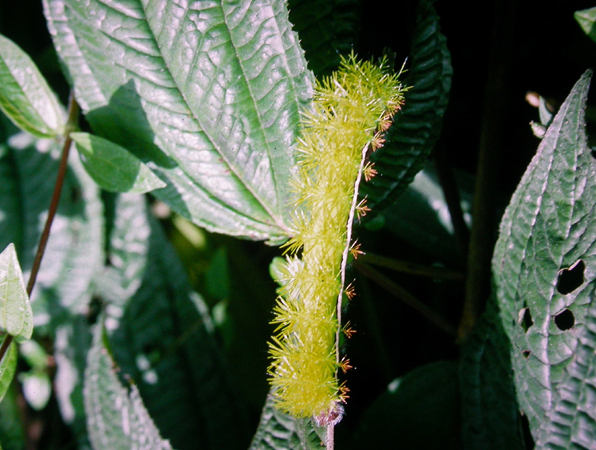 In Ecuador once, I came across the caterpillar of a species of silk-moth armed with vicious looking spines. Our local guide told us that those spines contained a venom quite powerful enough to put you in hospital. There is a certain thrill that many humans, and probably many naturalists have in close encounters with dangerous plants and animals after they have got away with the encounter. 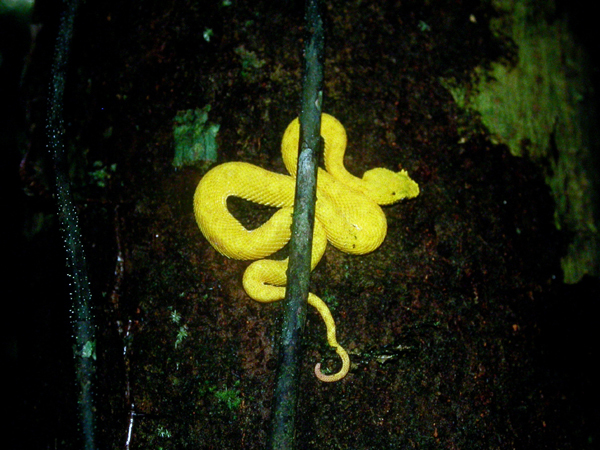 On one occasion, a local guide told me of an eyelash viper behind a vine on a massive rain forest tree in western Costa Rica. I went down to investigate and failed to spot it. 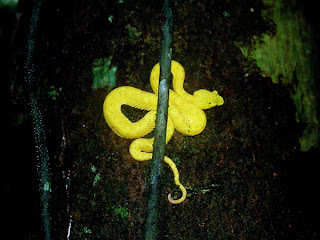 “Your eyelash viper has gone,” I told the local guide when I saw him later. “Oooh, about an hour and a half ago,” I replied. “Well it was there twenty minutes ago.” He assured me. After he told me exactly where it was, I went back and sure enough, looking obvious it was very much still there. I shuddered when I remembered that I had looked for lichens with a handlens on that tree when I thought it was safe to do so.